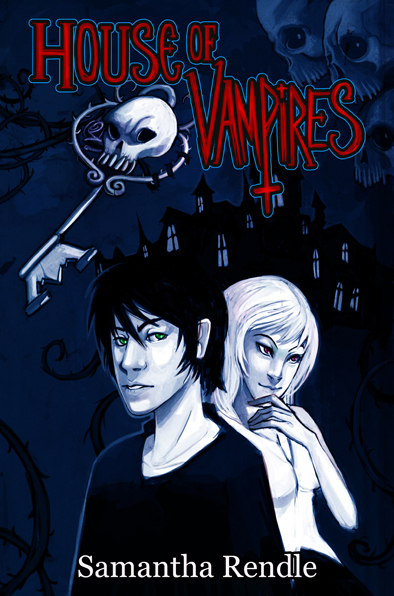 An exciting new twist on a popular teen theme: vampires! Fourteen year-old Pete wakes up in a mansion with no idea who he is and no memories. He discovers he's one of a rebel group called the Hunters - vampires with a conscience. Pete and his friends are soon mixed up in a dangerous battle between good and evil. Let me first start by saying, I love the book cover of House of Vampires, that is one of the main reasons I decided to read the book. It is very creepy looking and the images look to be hand-drawn. Besides the cover I very much enjoyed whole story behind this book. Although it is another Vampire book, and I feel Vampires are being overdone right now. House of Vampires has a unique story-line and many twists along the way which makes for a fun, and enjoyable Vampire book. The story begins with a nerdy but sweet boy named Pete. One day after Pete decides to go shopping for his parents he comes across a young woman who starts to chase him through the ally way near the shops. Pete falls while he is running from this girl and the next thing he knows is that he has woken up in a unfamiliar place, a huge mansion. Pete does not know how he got where he is but finds out suddenly he has a thirst for blood. He soon discovers out he now a Vampire, the mere creature he was running from. Pete meets the sliver haired girl, the one who changed him, Lilith and soon will find out why she choose him to be one of them. Pete finds a little Gecko has taken a shining to him only to discover Pete has become the chosen one - He now possesses a skeleton key which can open any door. He must now guard the key from the Vampires who made Pete, they have a evil plan to open a door which will lead to another world. A World of Vampires. Pete knows this is not a good thing and needs to find away to leave and fast. Away from the these Vampires who only want evil in the world. But will he ever be safe or will Pete choose to stop these bad vampires? - You will need to read this book to find out what will happen next to Pete and the one thing (the key) that could destroy there world. I really did enjoy this book. The story-line was very interesting. The character's were all well written, although I would have liked to know more of a back history on a few select character's in the book. The world that the author created in the book was very well thought out and unique. I will say although the story was fun, and exciting to read about, I kind of found it to be one tracked. There was no side plots involved. Mostly Pete needing to leave and have the Key not be found by the Enemy's. Not that this is necessarily a bad thing but in my mind I would have liked to had another side plot. It would have been nice to see the hero fall in love, but other than that the book has a good Premise and will not disappoint readers who enjoy Vampire books. The Author Samantha Rendle did very well for her first book and I hope we will be seeing more of Samantha and her writing in the future. Thank you Samantha and SilverWood Books for allowing me to read this great book, House of Vampires! House of Vampires is Samantha's first book. She came up for the idea when she was fourteen. 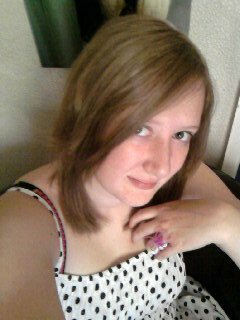 She lives in Bristol with her mum, Jayne, her sister Jessica and her two dogs, Fred and Donnie. She is currently in the middle of her A Levels.